Today ONLY, while supplies last, at Amazon you can Save Up to 30% Off Select Power Wheels $129.99 - $250. 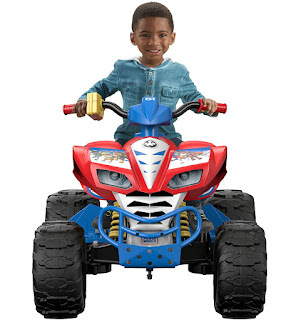 For example this Power Wheels Paw Patrol Kawasaki KFX is $194.99 (Retail $249.99). These mark downs don't come around very often, so if this is on your gift list - you may wanna grab now!